Rats Or Mice: Has Animal Testing Become More Humane? Were researchers actually "more humane" years ago? For the past few weeks I've been thinking about the possibility that, paradoxically, researchers and those people responsible for developing legislation and guidelines for the use of nonhuman animals (animals) in research were actually more humane years ago, before we knew that many other animals, including those who are used and brutally abused by the millions in various forms of research, are sentient and highly emotional beings. The above study rekindled this thought, one that I have been discussing with Psychology Today essayist, Jessica Pierce. Consider, for example, that we now know that mice and rats display empathy and that rats demonstrate the cognitively complex capacity of regretting what they didn't do. We also know that rats feel joy and laugh. Why hasn't this knowledge been used on their behalf? The same can be said for what we now know about birds and fish (see also here). Many researchers and those responsible for developing legislation and guidelines for the use of nonhuman animals in research ignore what we know about these animals who are bred for and abused by the millions in various types of research. 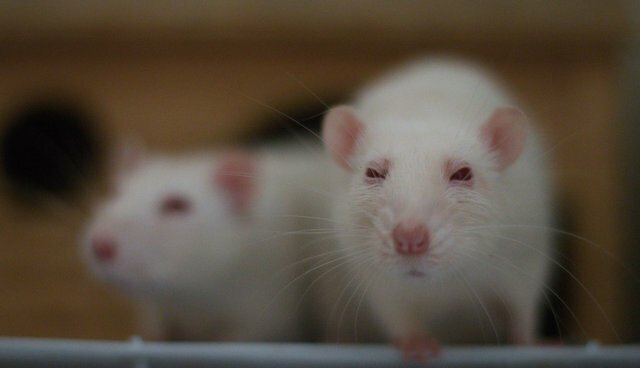 We can only hope that discoveries about their deep and rich cognitive and emotional lives will be used to protect rats, other rodents, and other animals from being used in horrific invasive research. It is inexcusable that this knowledge has not been factored into a revision of the Federal Animal Welfare Act in the United States. Rodents and many millions of other animals who comprise more than 99 percent of the animals used in invasive research can still be greatly harmed or killed "in the name of science." Indeed, the Animal Welfare Act does not consider them to be "animals". Only about 1 percent of animals used in research in the United States are protected by legislation and the legislation is sometimes amended in nonsensical ways to accommodate the "needs" of researchers. "We are amending the Animal Welfare Act (AWA) regulations to reflect an amendment to the Act's definition of the term animal. The Farm Security and Rural Investment Act of 2002 amended the definition of animal to specifically exclude birds, rats of the genus Rattus, and mice of the genus Mus, bred for use in research" (Vol. 69, no. 108, 4 June 2004). It may surprise you to learn that birds, rats, and mice are no longer considered animals, but that is the sort of logic that epitomizes federal legislators. Researchers are not allowed to abuse animals, so the definition of animal is simply revised until it refers only to creatures researchers don't need. Garet Lahvis, a behavioral neuroscientist at Oregon Health & Science University in Portland, correctly notes, "We study animals to see what makes us uniquely human, but the findings of empathy in animals often force uncomfortable questions about how humans treat animals." So, it just may be that years ago researchers and those people responsible for developing legislation and guidelines for the use of animals in research were actually more humane. Although many people who studied and shared their homes with rodents and other animals knew they were sentient beings, the scientific evidence wasn't available and those who used animals or favored their use could say and get away with something like, "We don't know if these animals are sentient or emotional so until we do we can do whatever we want to them." Some researchers still act as if this were true, but now the data are available and they have been published in highly prestigious peer-reviewed scientific journals and it boggles my mind that researchers continue to use these animals as if they -- the animals -- also don't care about how they were treated. They do, and we also should and must. Stay tuned for more on the fascinating lives of other animals. It's essential that we use what we know about them on their behalf and not granting birds and rodents much more protection is inexcusable. It is as if the data that are collected do not matter.